globalvision has recently captured magnificent aerial footages of La Résidence Hôtel & Spa – a luxury hotel of MGallery Collection of Memorable Hotels by Accors in Hue, Vietnam. This deluxe hotel is located in the city center of Hue City where is just a few steps away from the ancient Hue Citadel and the picturesque Parfume River. With its prime location in the UNESCO World Heritage Site, the hotel doesn’t only bring its guests the memorable Hue’s atmostphere but also its sophisticated interior and unforgettable refined service. The hotel contracted us as a partner in its newest visual project where aerial filming and 360° aerial panorama shooting were required. 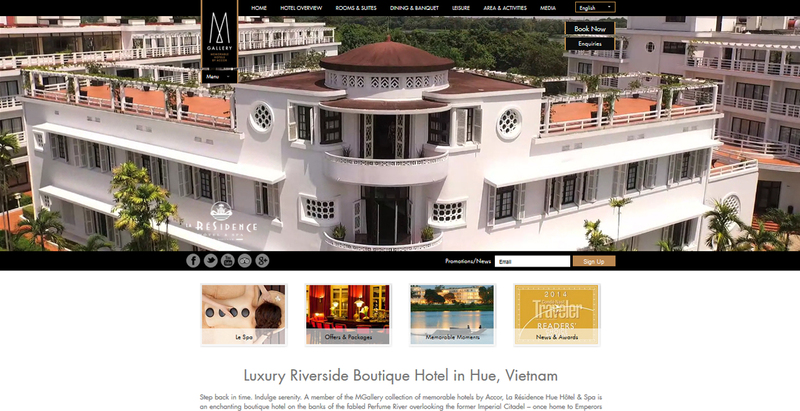 Let have a look on La Résidence Hôtel & Spa‘s website for watching its unique video at www.la-residence-hue.com or enjoy the spectacular view from the sky of the hotel through our 360° aerial panorama. Contact globalvision today for your aerial shooting inquiries as we are able to handle your visual projet from A-Z under one roof.